Founded by Sander Gommans [After Forever] and Marina La Torraca [Exit Eden and Avantasia live], a band with young musicians got together 3 years ago with the purpose of playing Gomman’s HDK project for the first time live on stages. The natural chemistry among the musicians however sparked many new and exciting ideas: Phantom Elite is Born. 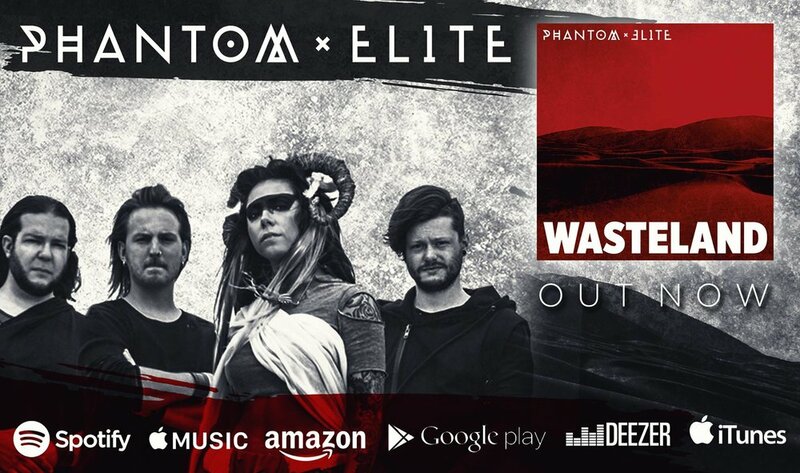 With its freshly-released debut album Wasteland and release shows in more than 5 countries in their pocket, the band is eager to share their music with the world! The live experience continues with their Wasteland Tour 2018 - in September in Munich with Kamelot.